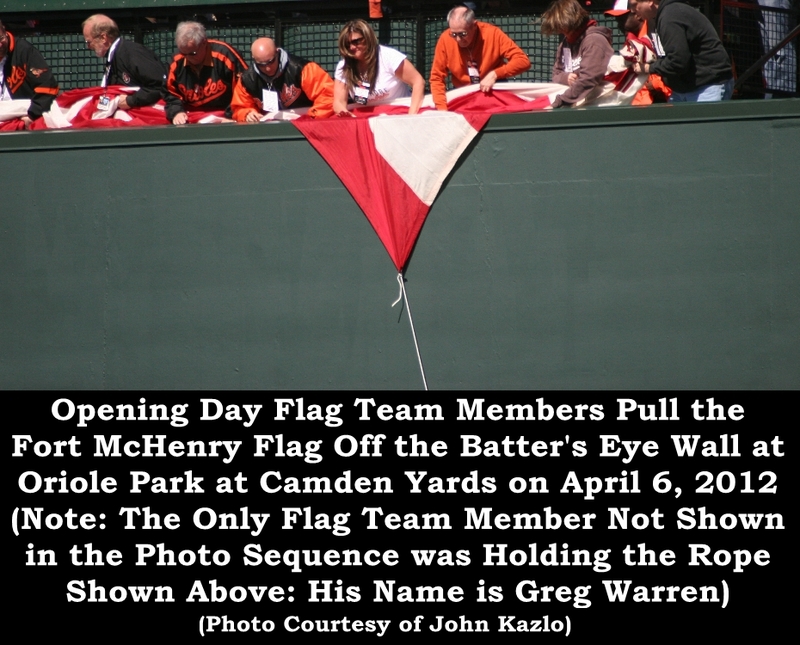 www.fastballphotos.com, served as the team photographer. 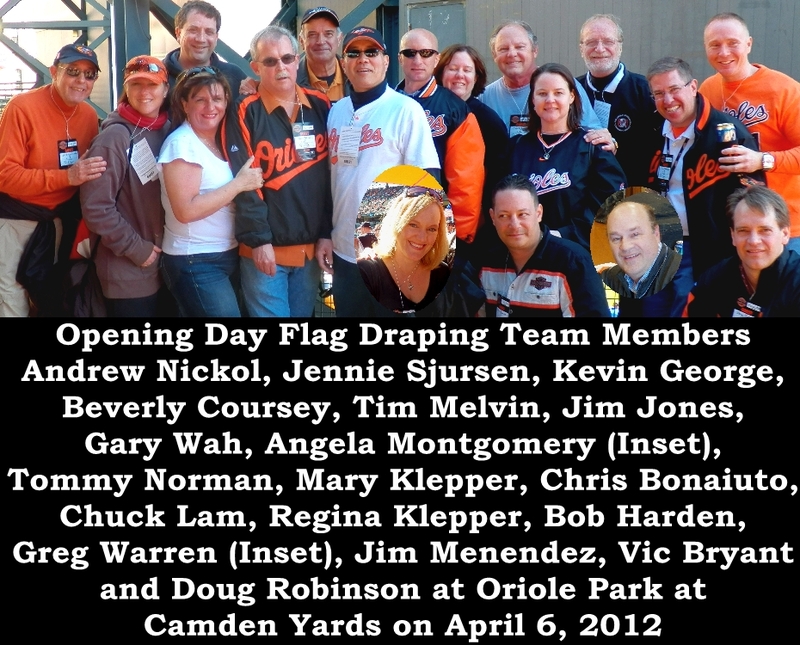 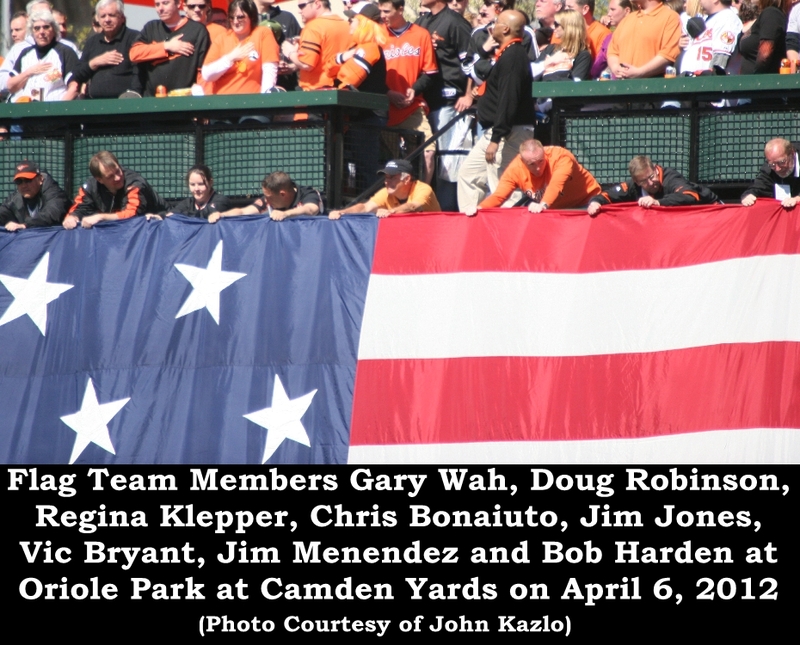 I met John, a lifetime Orioles fan, last season when he was photographing Arizona Fall League action. 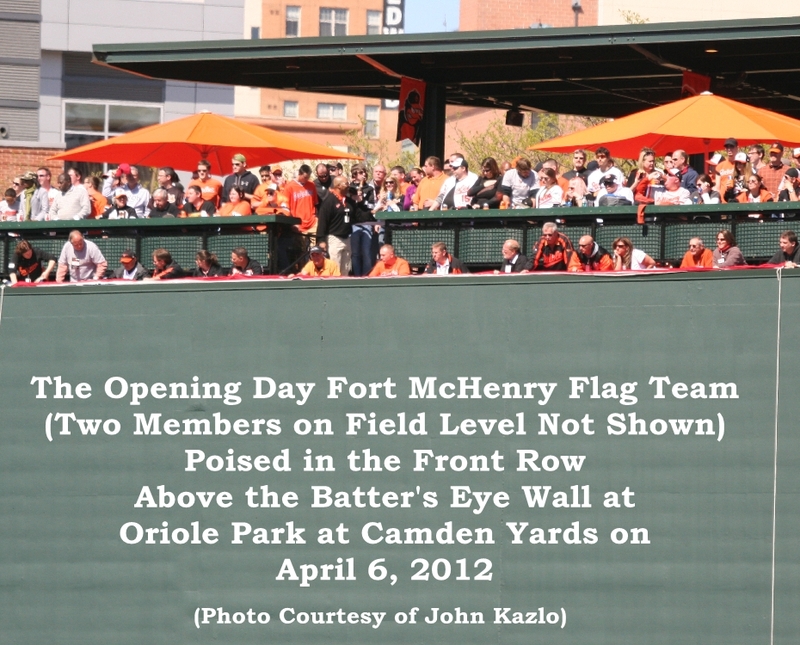 All the photos that follow, after the team picture, were taken by Mr. Kazlo. 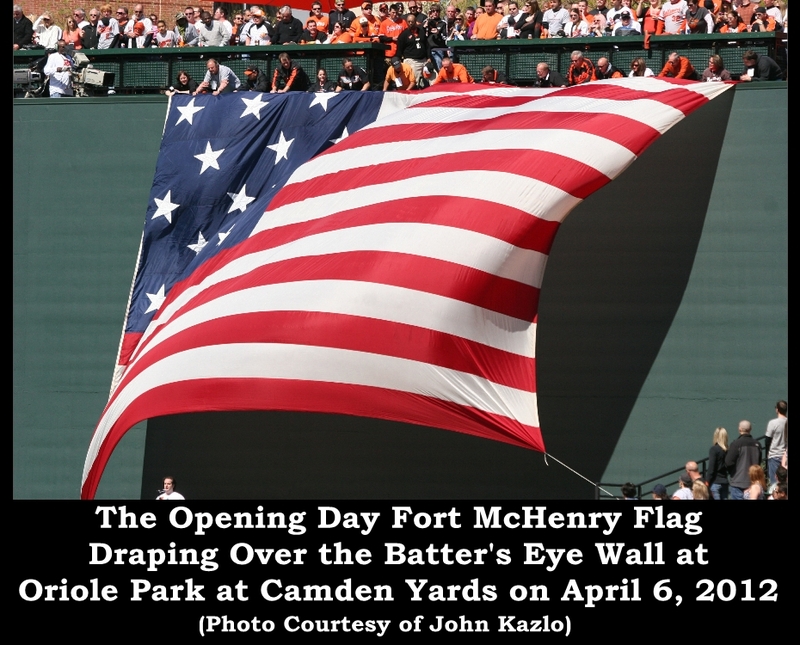 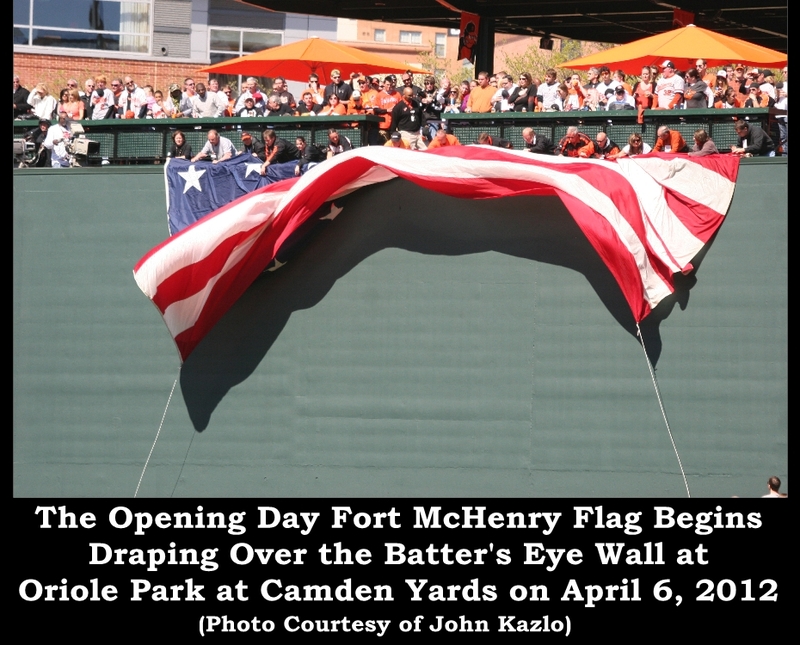 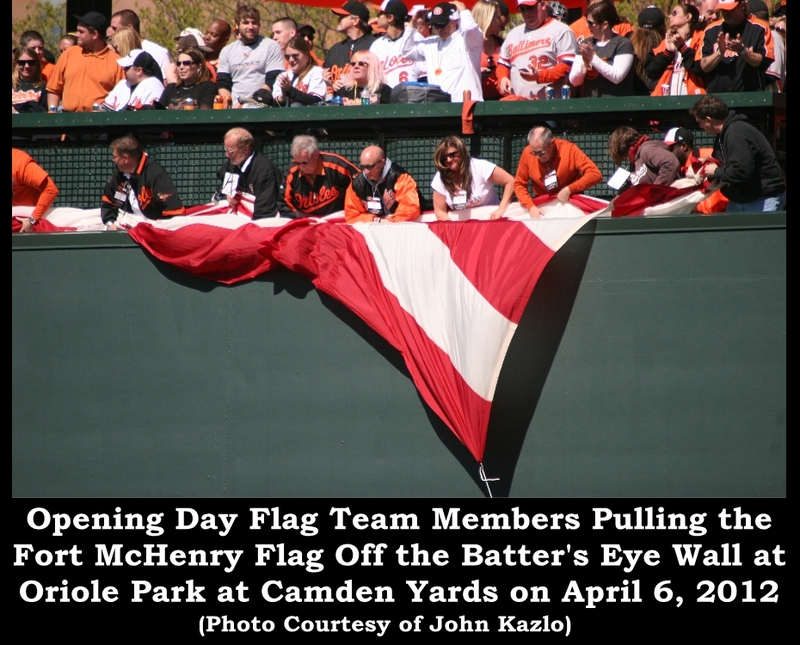 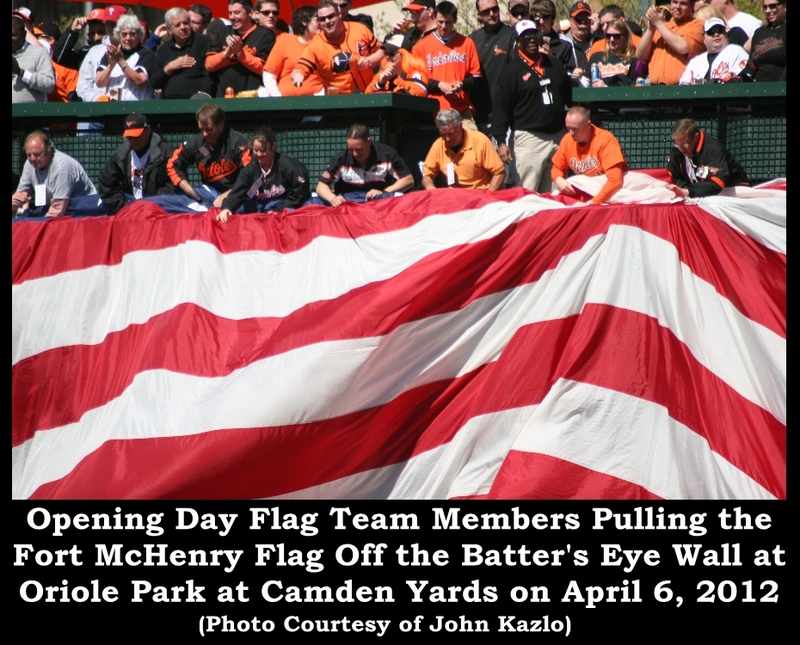 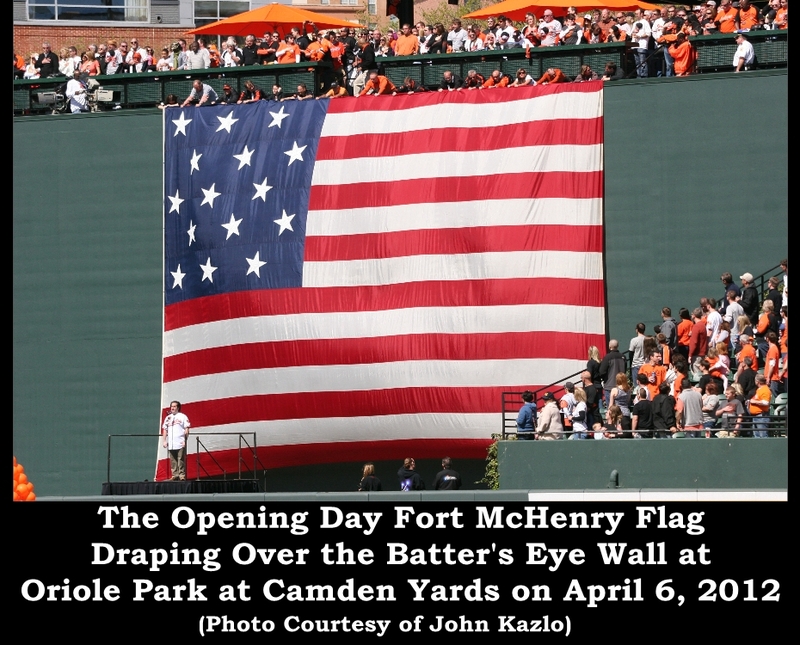 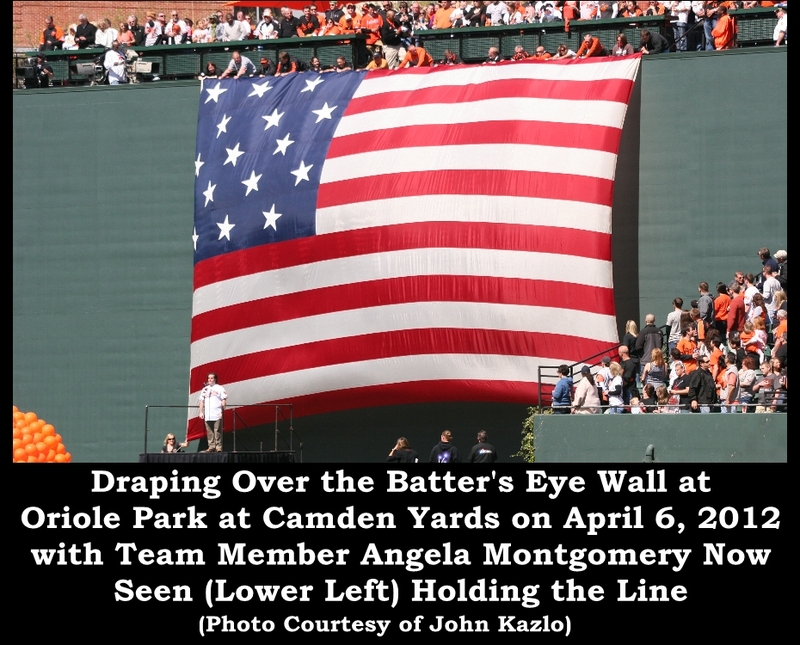 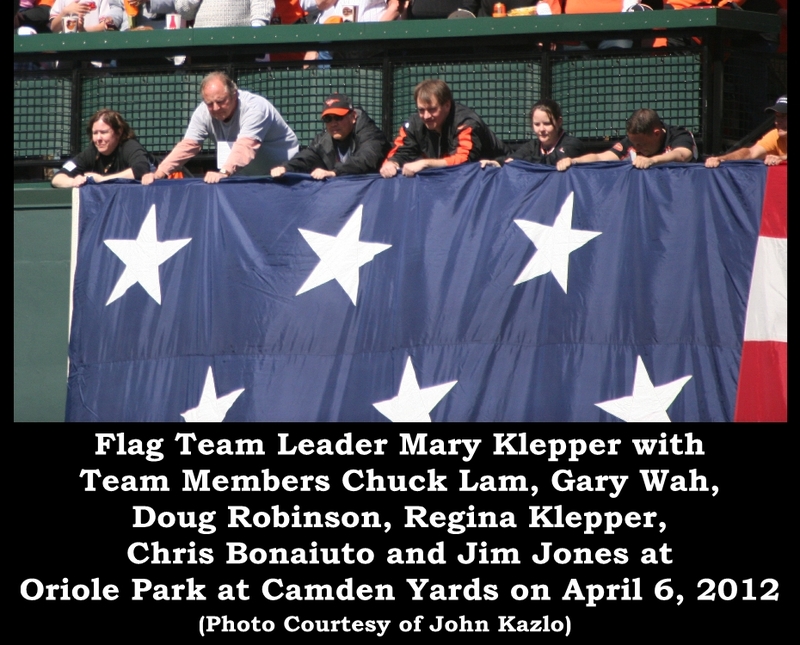 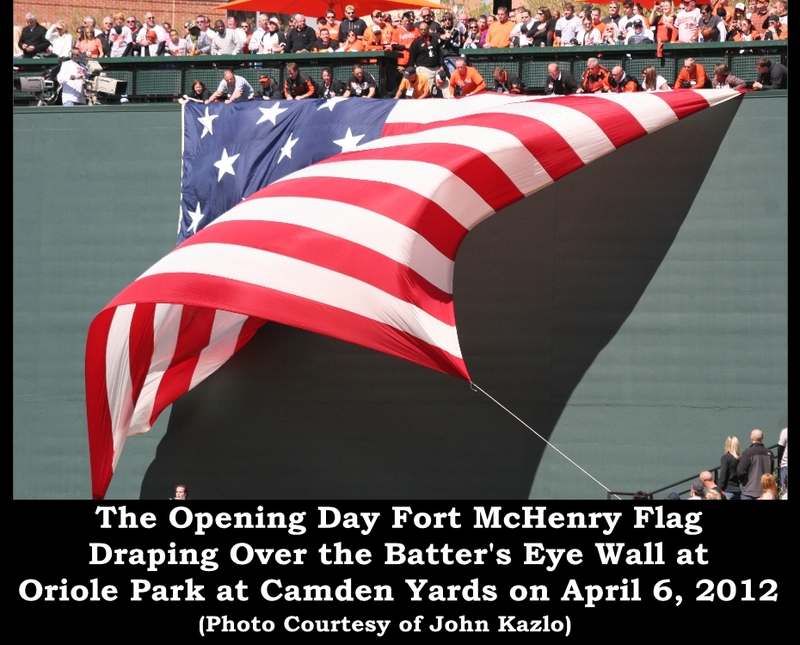 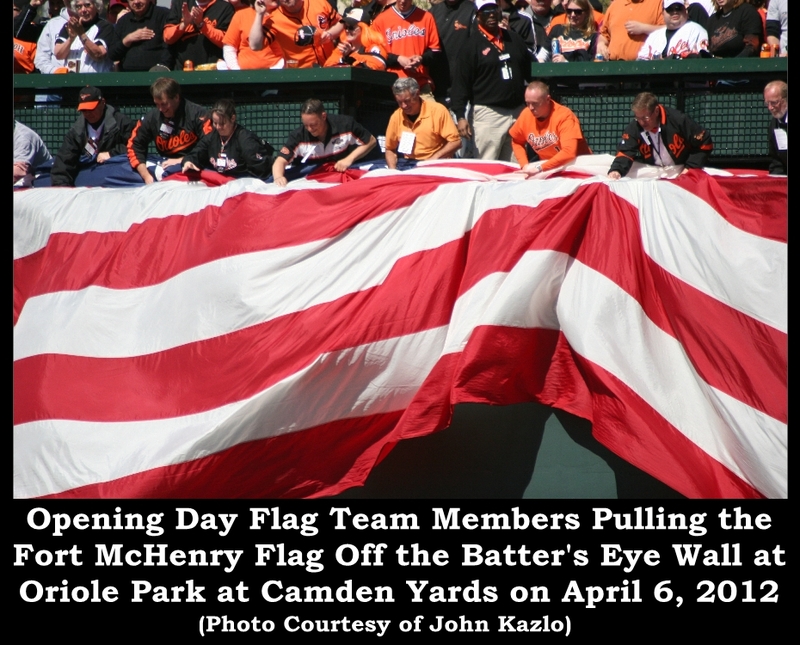 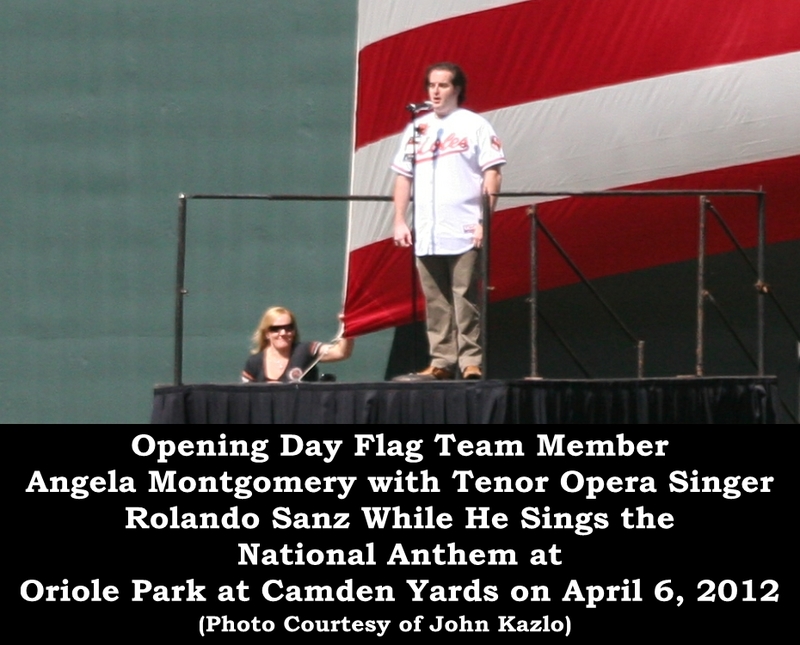 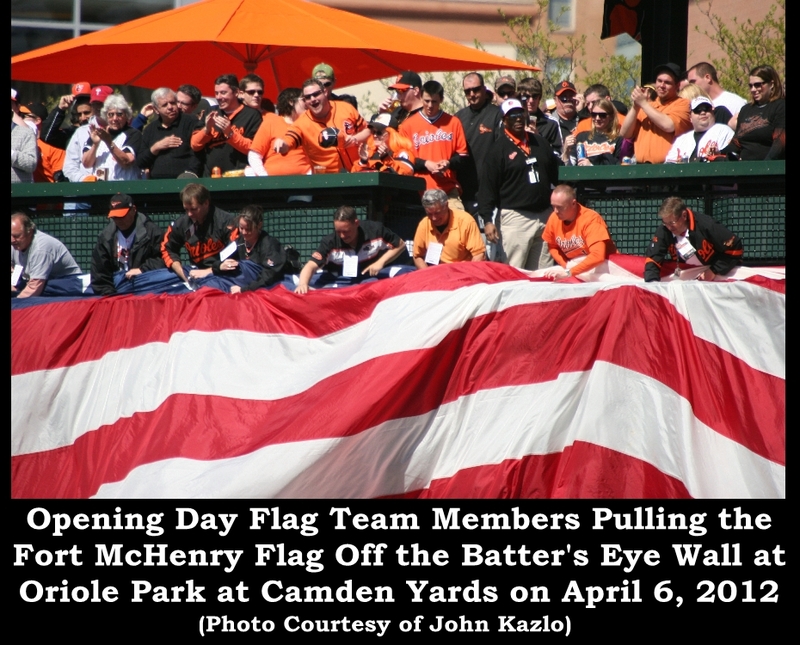 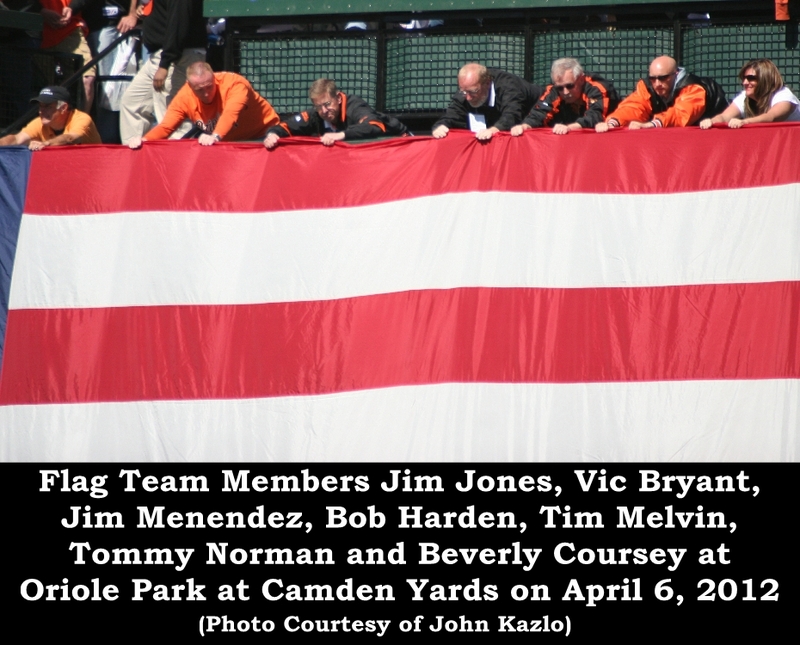 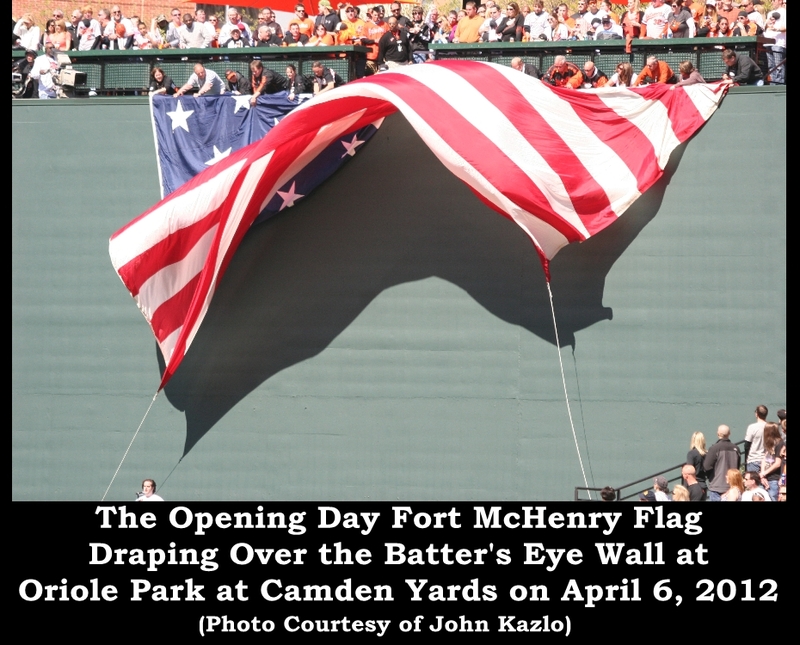 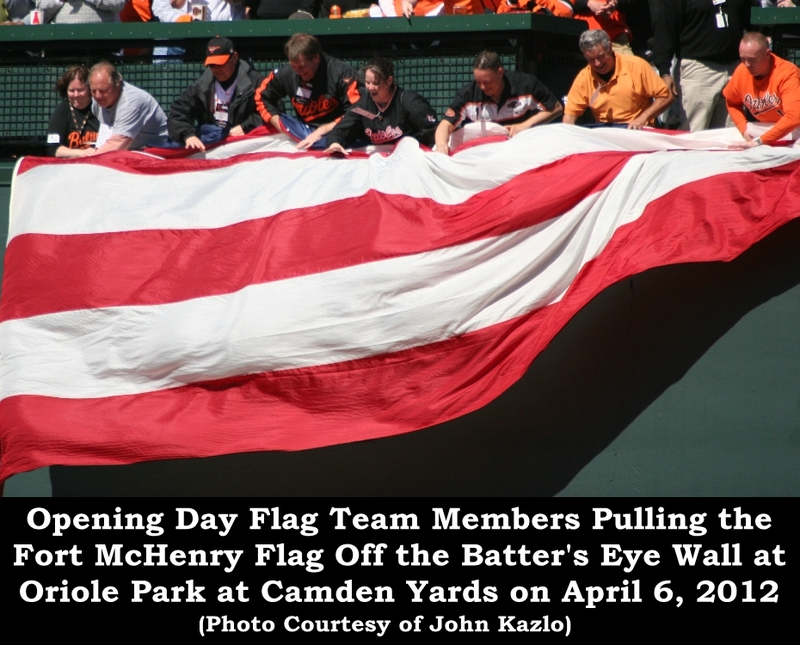 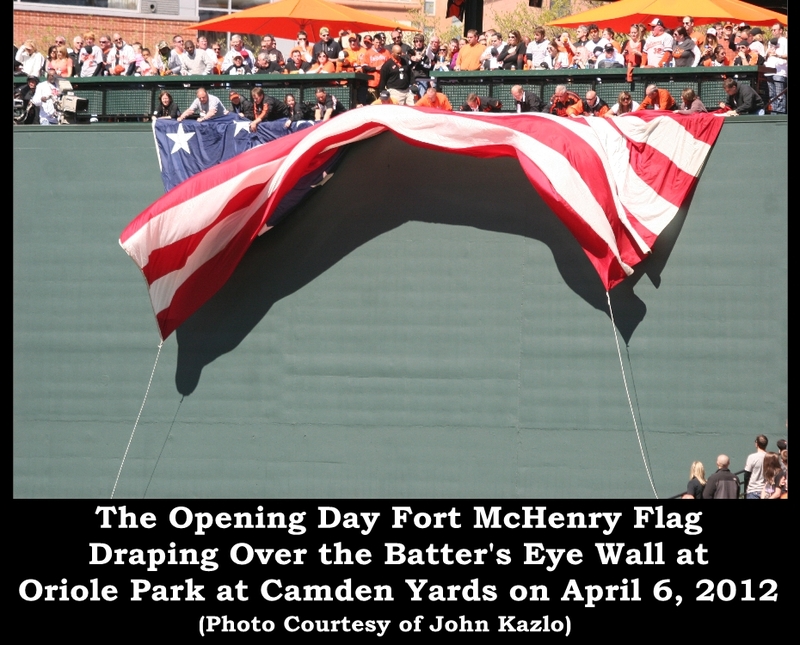 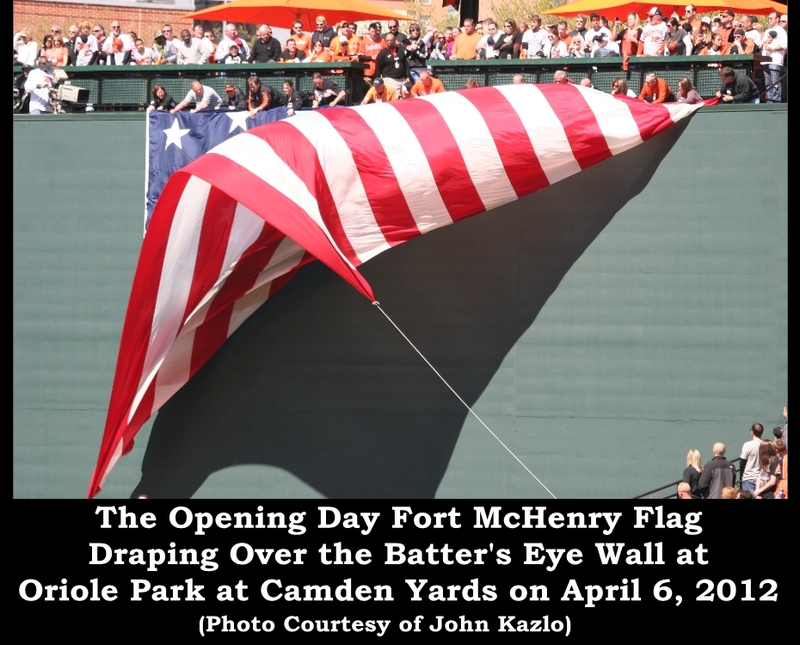 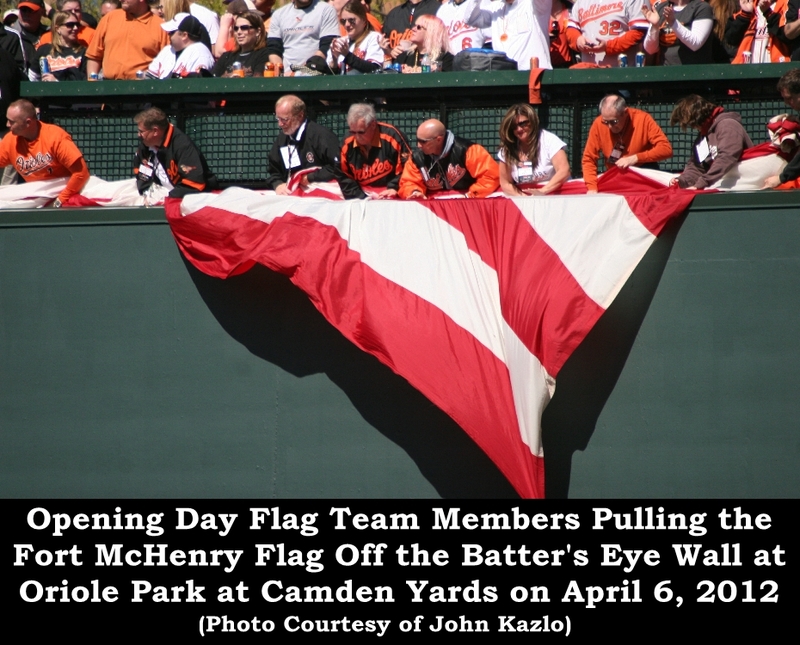 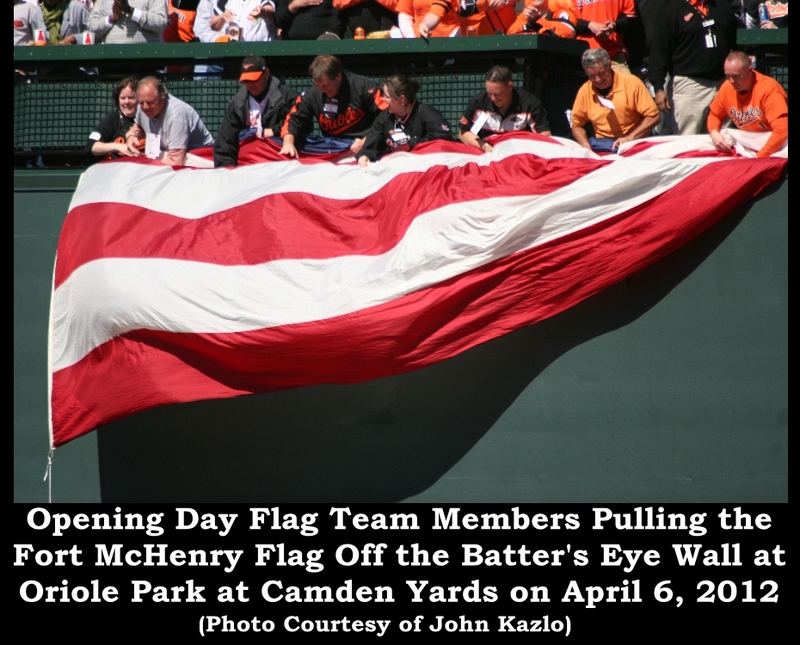 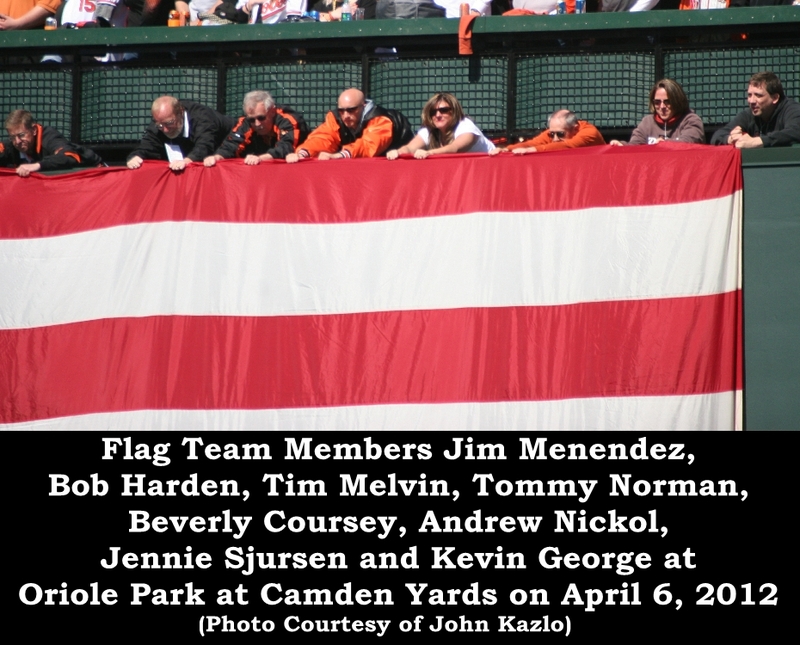 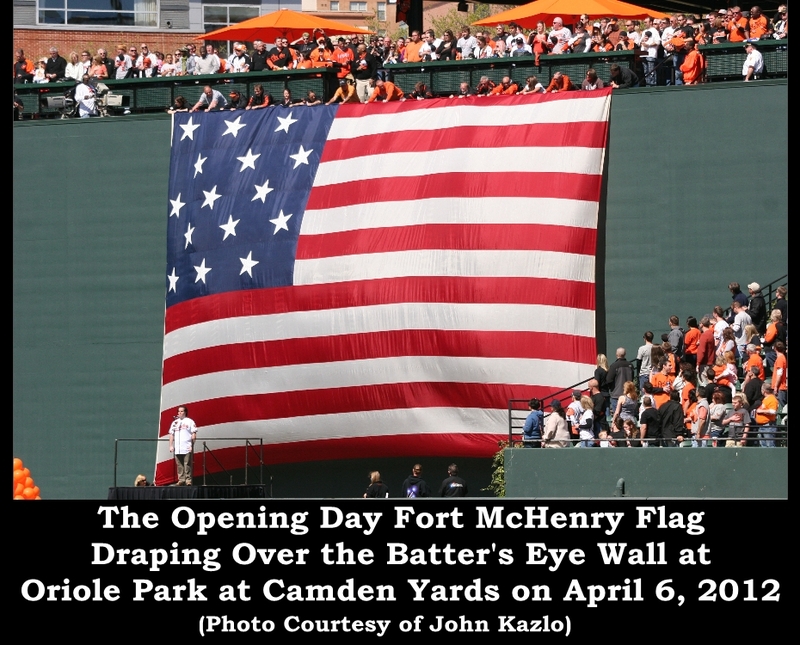 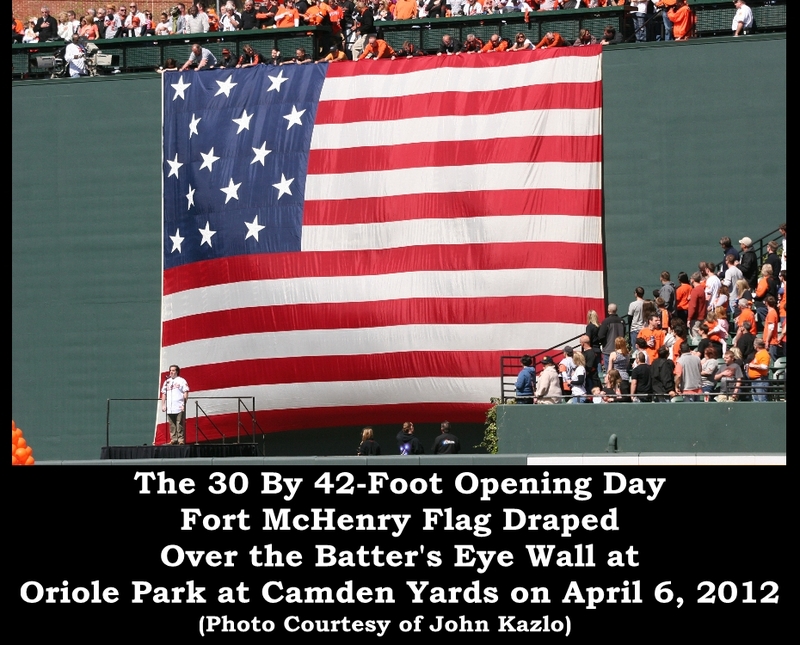 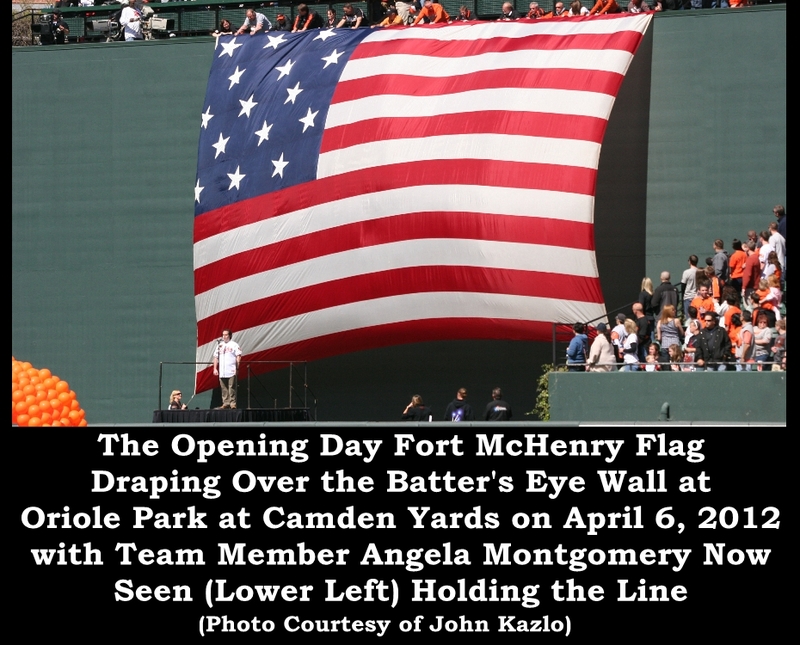 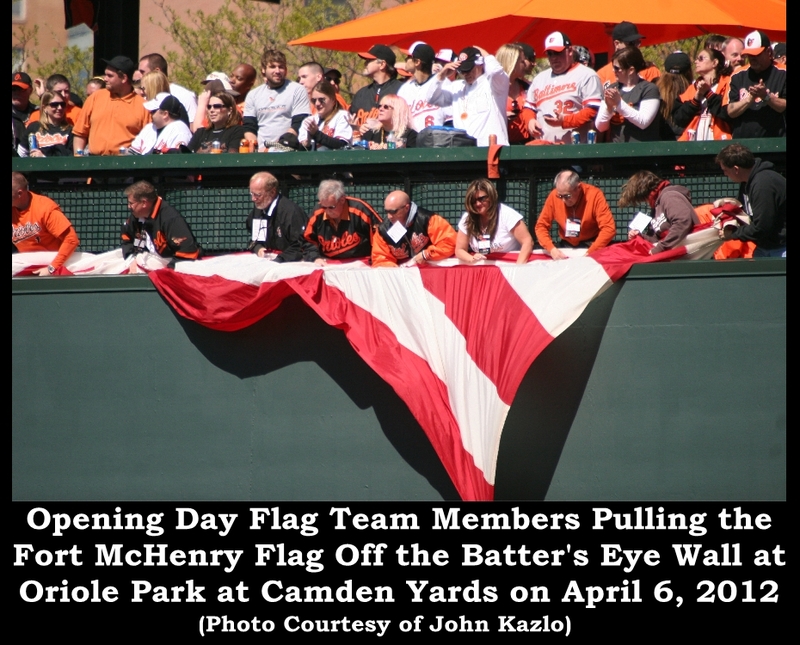 Thanks again for doing a great job, John, and for sharing with me your photographs that show the 30-by-42-foot Fort McHenry Flag replica unfurling in all its glory.